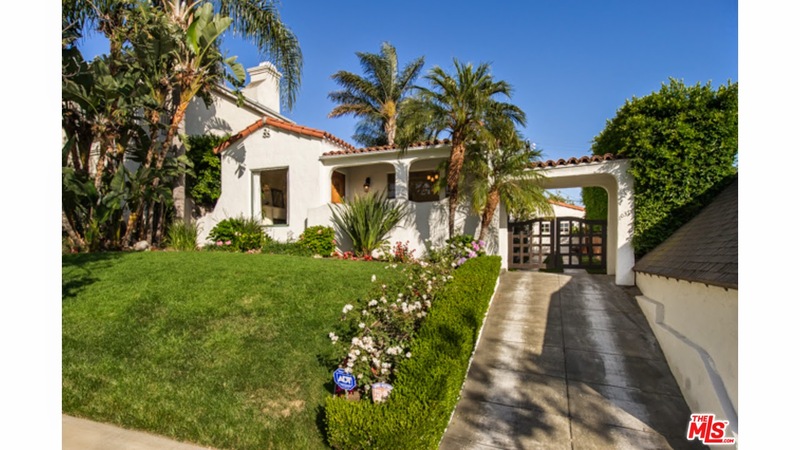 The Westwood Real Estate Market Blog: What Did That Westwood Home Sell For At 10370 Louisiana Ave? What Did That Westwood Home Sell For At 10370 Louisiana Ave? The Westwood home at 10370 Louisiana Ave., LA CA 90025 lasted about 46 days on the market before accepting an offer on 8/05/14. According to the listing history, it looks like the property entered into escrow and fell out quickly before this buyer entered into escrow in the beginning of August. This late 20's Spanish is very charming from the street and in a nice east of Beverly Glen location. Inside, the home was nicely updated and in move-in condition. Now the square footage states it's only about 1,300 sq ft. However, you get another 300-400 sq ft or so with the nicely converted garage as family/entertaining space. Having said that, yes over $1,000 per square foot is on the expensive side and not too common in the southern neighborhood. But because the dirt alone is expensive in this location, a small house will have a high price square foot sale price. Especially something as nice as this house. On 9/04/14, 10370 Louisiana Ave, closed 4% under the asking price at $1,345,000 |$1,034 $/sf|. According to the MLS, the home is a 2 bedroom / 2 bath, 1,301 sq ft of living space on a 5,326 sq ft lot.